– Classic Cigar Flavour. A strong, rich taste of Cigar, without any drop of tobacco or nicotine. – The pack contains 2 cartomizers, filled with Classic Cigar e-liquid, which uses the best mix of Propylene Glycol and Vegetable Glycerin (70/30). 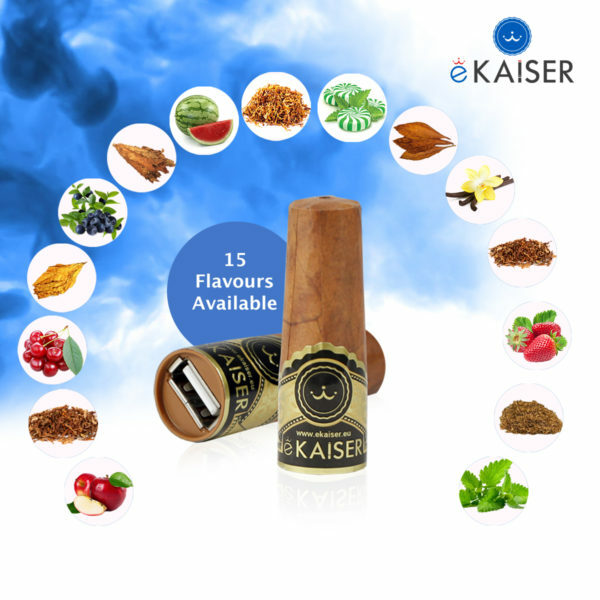 Moreover, the ejuice is free of tobacco, nicotine or tar. 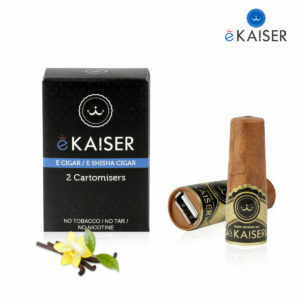 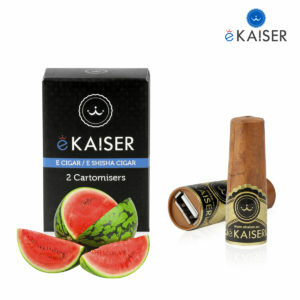 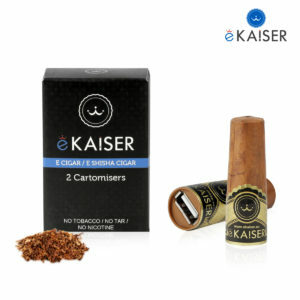 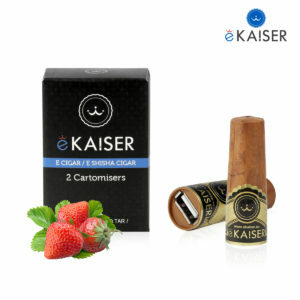 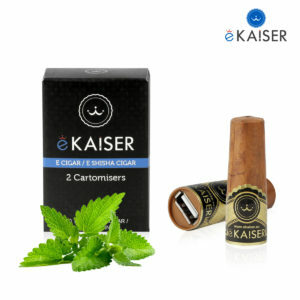 – The eKaiser e Liquid in the cartomizers is created from the finest raw materials, natural extracts and pharmaceutical grade ingredients, using the most advanced production techniques and quality control processes to enable conformity to the highest international and pharmaceutical standards. 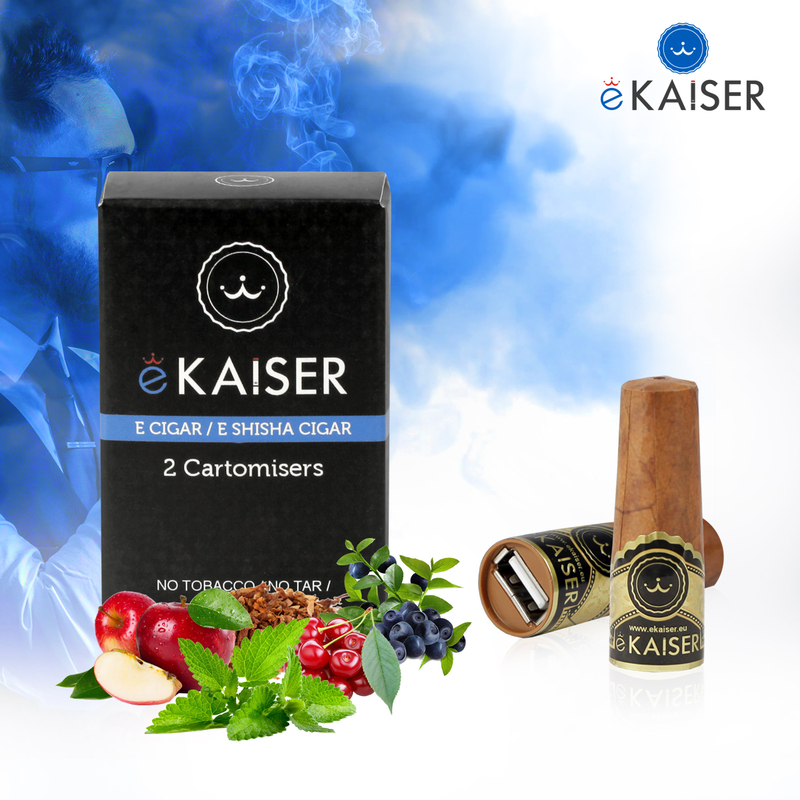 Find the perfect taste, throat hit and cloud, provided by the eKaiser’s e-cigar nicotine-free cartomizers. – With 15+ flavours for your e-cigar, you can test all the ejuices, choose your favourites and vape more, whenever you want to. With an innovative system, each cartomizer contains a USB slot for the USB recharging cigar battery – simply connect both parts and start vaping. 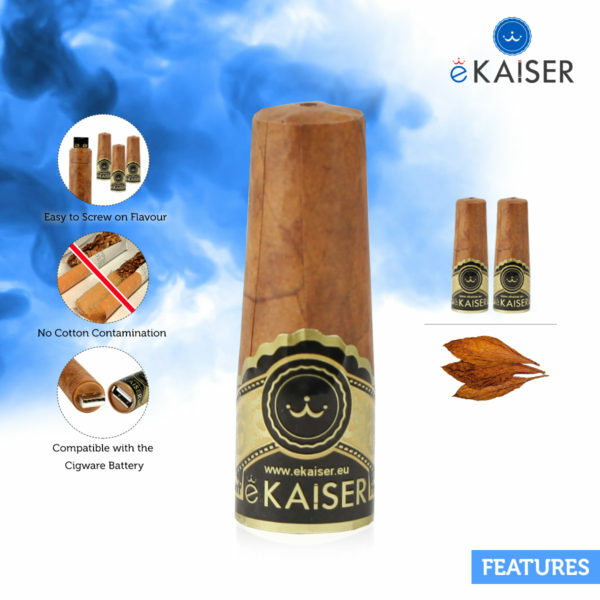 Very nice flavor…taste’s just like the real cigar….does not leave a bad taste in the mouth…gives a perfect hit on the throat. With great anticipation finally, my e-cigar arrived.The e-cigar is comfortable to hold in one’s hand, feels like the real thing with plenty of smoke, the pack came with 3 cartomizers cigar flavored very rich and had the depth to the flavor, without being overpowering.Charging the unit is so simple, as its all builtin so no need to carry cables although the battery lasted over a week of use by myself and as a party piece, even people who would normally stay away wanted to have a go puffing on a cigar. 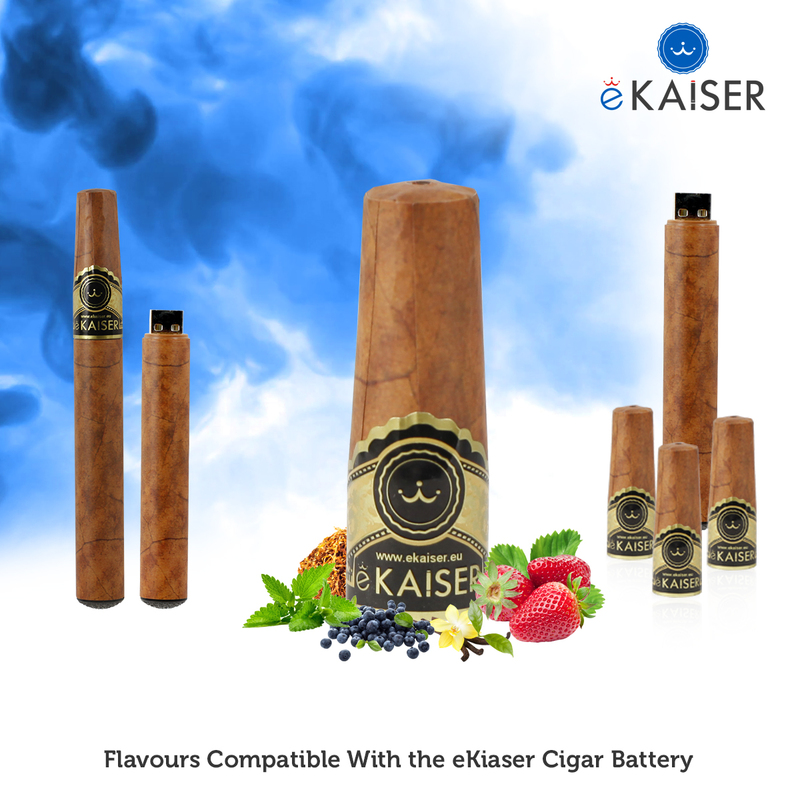 Actually tastes like a classic cigar, but without the throat burn that comes with it! 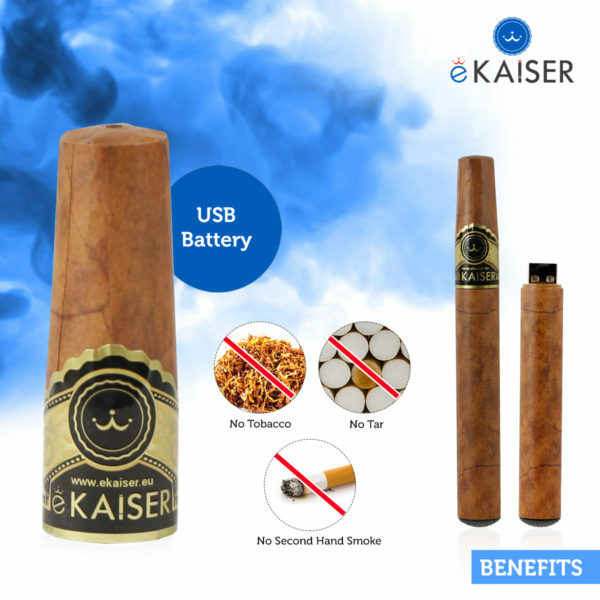 Wonderful product! Cigar ….2 Pack is good value , I really enjoyed the Cigar flavour (will buy refill’s again).